I have far too many books. So many good ones, but too many. It’s time to thin out my collection a bit to the ones I truly love. So, instead of taking the rest of them to Goodwill, I thought I’d give them away here, one book, one week at a time. 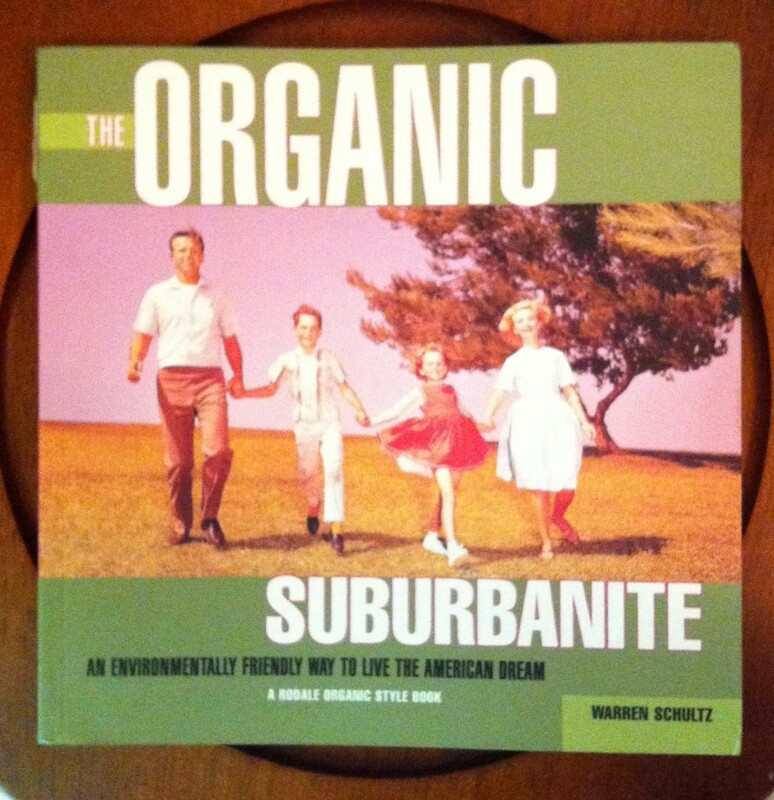 This week’s giveaway is for a paperback copy of The Organic Suburbanite. It’s in new condition, and it’s chock full of helpful information if you’re looking for some basic first steps in greening your suburban home, going local, and going organic. Post a comment using the word suburbanite. You cannot use the title of the book. Post a Facebook or Twitter update using the word suburbanite. Then post a comment here with a link letting me know you did. Post a Facebook or Twitter update linking to this giveaway (and then comment here, letting me know you did). The suburbanite felt uncomfortable in the downtown city jungle. The corner coffeeshop drive-thru is a refuge for suburbanites on their morning commute. That handbag is so suburbanite. See? Just have fun with it. Super easy! Plus, I pay shipping! (US & Canada only, please.) Giveaway ends Tuesday night at midnight, winners will be announced here and notified by email on Wednesday. If this book, or this type of book, is not your thing, no worries. I’m a picky book buyer AND I have a wide variety of interests, so hopefully there will be a little something for everyone. Don’t forget to check back next Saturday for the next book giveaway! i never thought i would enjoy the suburbanite life, but i actually enjoy it quite a bit. Dee, what a cool idea! I feel I have always chosen the suburbanite life, living far from the city, but driving to the city if I need a little extra culture. I escape again as soon as possible.